OFFICIAL RULES Johnny Blue Inc’s Everyday Heroes Contest HOW TO ENTER: During the Contest Period, you can nominate someone else, not yourself, by visiting www.johnnyblueinc.com to enter. Entrants must submit a paragraph stating the name of the nominee and what you think makes them an everyday hero. All entries become the property of Sponsor and will not be returned. Entrants will be showcased on https://www.facebook.com/JohnnyBlueInc/. Sponsor reserves the right, in its sole discretion, to (i) verify any element of any entry, related materials or entrant’s eligibility; (ii) to request additional information; and (iii) to disqualify any entrant whose participation may subject the Contest, Sponsor or Sponsor's advertisers, clients, or customers to controversy, negative publicity, scorn, or ridicule. The Sponsor reserves the right to change any and all parts of this contest as they seem necessary. The contestant agrees to provide any documentation or information deemed necessary by, and in a form acceptable to, Sponsor to satisfy the above requirement if asked by Sponsor to do so. Void outside Johnny Blue Inc’s service area. See website for Johnny Blue Inc’s full-service area at www.johnnyblueinc.com. Do not proceed to enter if you and your nominee are not at least 21 years of age and the nominee a legal resident of, and located within, Johnny Blue Inc.’s service area at the time of entry. By participating, you agree to be bound by these Official Rules and the decisions of the Sponsor, which are binding and final in all matters relating to this sweepstakes. The contest is offered by Johnny Blue Inc. and may be promoted by any of Johnny Blue Inc.’s publications in various creative executions online and print at any time during and after the contest. Note that the Websites referenced within these Official Rules may not be the full list of websites (i.e., specific URLs) used to promote this Contest. If the promotional ad you see in a magazine, or website or hyperlink that you follow online to enter this contest refers to these Official Rules, such site is considered a “Website” under this promotion. NO PURCHASE NECESSARY TO ENTER OR WIN. A PURCHASE WILL NOT INCREASE YOUR CHANCES OF WINNING. 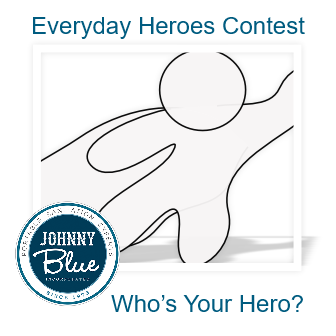 SWEEPSTAKES PERIOD: Johnny Blue’s Everyday Heroes Contest will run 3 times, once in each of the follow months: November and December 2018 and January 2019. Each contest begins at 12:01 a.m. Eastern Standard Time on the first day of the contest month and ends at 11:59 p.m. Eastern Standard Time on the last day of the contest month. One winner will be chosen by Johnny Blue Inc for each contest period and announced via Facebook on or before the 10th day of the following month. SPONSOR: Johnny Blue Inc., 255 Lenoir Drive, Winchester, VA 22603 LIMIT: One entry per person for each Contest Period. ELIGIBILITY: This contest is open to legal residents, 21 years of age or older and nominees 21 years of age and older who are legal residents of Johnny Blue Inc.’s service area. See website for Johnny Blue Inc.’s full-service area. www.johnnyblueinc.com. 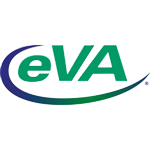 Employees of Sponsor and any other organizations affiliated with the sponsorship, fulfillment, administration, prize support, advertisement or promotion of the Sweepstakes and each of their respective parents, agents, affiliates, subsidiaries, and advertising and promotion agencies, and their immediate family members (regardless of where they reside) or household members, whether or not related, are not eligible to enter or win. “Immediate family members” shall mean spouses, parents, step-parents, children, step-children, siblings, step-siblings, and their respective spouses. “Household members” shall mean people who share the same residence at least three months a year. WINNER NOTIFICATION: Winners will be notified via phone, and or email and will be required to respond within 48 hours. If no response within 48 hours, an alternate winner will be chosen. 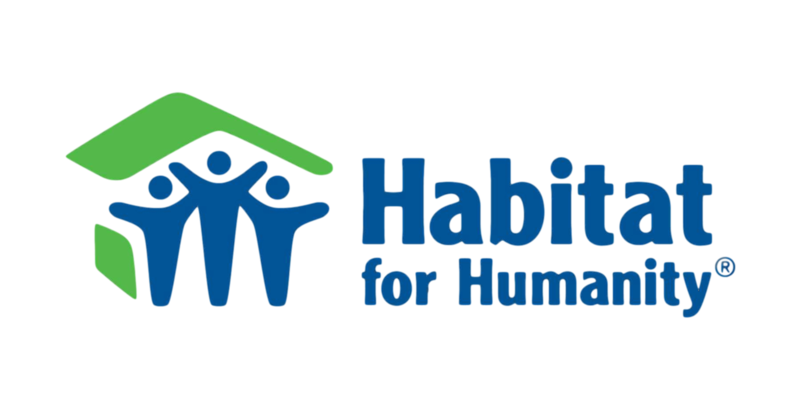 PRIZE: Each winner will receive a $50.00 gift card and Johnny Blue Inc will donate $50 to the charity or nonprofit organization or the winner’s choice. Each winner will be showcased on johnnyblueinc.com. RELEASES: By participating in the Sweepstakes, entrants agree to release Sponsor and any other organizations affiliated with the sponsorship, fulfillment, administration, prize support, advertisement or promotion of the Sweepstakes and each of their respective parents, agents, affiliates, subsidiaries, advertising and promotion agencies, and prize suppliers, and each of their respective officers, directors, agents, representatives and employees, as well as each of their respective successors, representatives and assigns (collectively, the “Released Parties”) from any and all actions, claims, injury, loss or damage arising in any manner, in whole or in part, directly or indirectly, from participation in this Sweepstakes and/or acceptance, use or misuse of the prize. OTHER: Except where prohibited by law, entry constitutes permission to use each entrant's name, hometown (city and state), voice, biographical information, likeness, photograph and any statements regarding this contest in all media now known or hereafter discovered, for any purpose, including without limitation, in connection with, and to promote, market or advertise, the contest, in whole or in part, without review, approval, credit or attribution, notification or payment from or to entrant or any person or entity, worldwide, in perpetuity, or on a winner’s list, if applicable.